Hello Everyone! Welcome to another edition of PRiVCY Community Weekly Newsletter and we are now on our 4th edition and this has been going for 4 weeks straight now. Before i start i wish to welcome our new community members that recently joined PRiVCY Airdrop Project. Also would like to thank all our community members who continue to offer their unconditional support for the project. 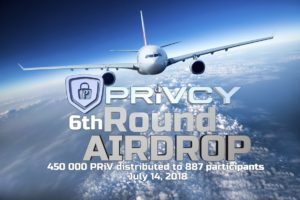 The 6th PRiVCY Airdrop has been very sucessful and a total of 450,000 PRiV has been share by a total of 887 Participants, This number is the combination of both hodlers, new members and dumpers club. For detailed Airdrop Report for Round 6 (READ: PRIVCY ROUND 6 POST-AIRDROP COMMUNITY NEWS). 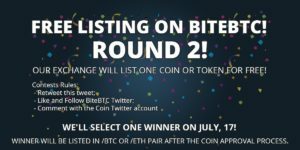 We are now officially lost on the Free Listing Competition by KUCOIN but don’t despair we still have shot to get free listing on BITEBTC. We expect everyone to VOTE and HELP us win the competion. 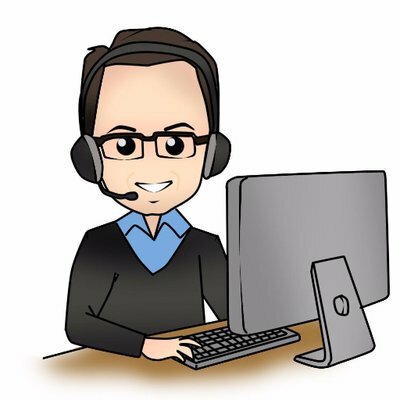 This will be a great addition to the growing exchange listing for PRiVCY. The Voting will end this coming July 17, 2018 and you still have the time to cast your vote and together we can win this competitions. Are you a miner or planning to mine PRiVCY Coin now you can calculate the mining profitablity for PRiVCY Coin. (VISIT PRiVCY MINING CALCULATOR). 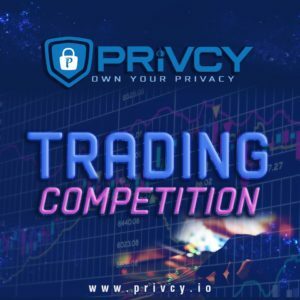 New Trading Competition has been announce by the PRiVCY Development Team, Exciting and Generous Prizes are up for grabs for the user with the highest trading volume. The trading competition will run from July 13 upto July 20, 2018. To know more visit PRiVCY Official Discord Channel and take a peek on the #trading-competition channel. To start Trading PRiVCY Visit CREX24. 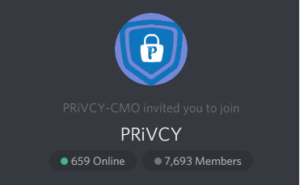 PRiVCY Official Discord Community now has 7,693 Members as of this time of writting with an average of 700 Users online at a given time. This is 221 New Members from the previous week. Lets all Continue to promote and share the airdrop opportunity given by the dev team. Remember This is a community project and we as a PRiVCY Community member has an obligation to support PRiVCY Dev Team and its staff with its marketing and Awareness Campaign. That’s all for the week and see you again for tomorrow’s exciting new week for $PRIV, Don’t forget to Like and Retweet! Thank your for Reading.